(2017). Effect of Geogrid Aperture Size and Soil Particle Size on Geogrid-Soil Interaction under Pull-Out Loading. Journal of Textiles and Polymers, 5(1), 25-30.
. "Effect of Geogrid Aperture Size and Soil Particle Size on Geogrid-Soil Interaction under Pull-Out Loading". 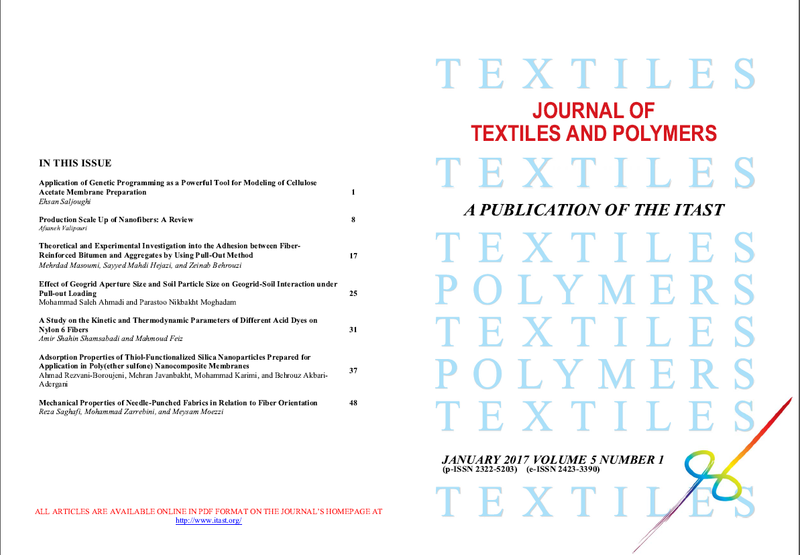 Journal of Textiles and Polymers, 5, 1, 2017, 25-30. (2017). 'Effect of Geogrid Aperture Size and Soil Particle Size on Geogrid-Soil Interaction under Pull-Out Loading', Journal of Textiles and Polymers, 5(1), pp. 25-30. Effect of Geogrid Aperture Size and Soil Particle Size on Geogrid-Soil Interaction under Pull-Out Loading. Journal of Textiles and Polymers, 2017; 5(1): 25-30.